A publicly traded company on the NYSE with a reputation for business savvy and lucrative deal making is caught in a morally questionable situation that threatens the very future of the firm. As the dust settles, the CEO, on whose watch the scandal occurred, is forced to step down. Word has leaked to the press and the public, and a series of government investigations are underway. The board of directors holds an emergency meeting to deal with the situation and launch an immediate search for a new CEO. This story, torn from the headlines, is the basis for “The Browning Brothers Search,” a corporate decision-making negotiation game from the Program on Negotiation’s Teaching Negotiation Resource Center (TNRC). In the process, the board of directors must decide what qualities an effective leader should possess. 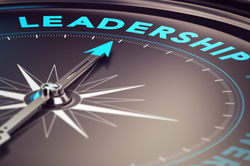 Effective leadership, rather than being a personal quality, is vitally dependent on the context of the organization, its needs at a given moment, and whether its leaders have the skills to meet those needs. Negotiation skills are crucial for any leader. How leaders negotiate determines in large measure their ability to achieve the organization’s objectives. Effective organizational leadership requires skill at conducting multilateral negotiations and building effective coalitions. The negotiation game is accompanied by a detailed teaching note offering instructors step-by-step guidance and suggestions on its use. Most TNRC negotiation games and teaching materials are designed for educational purposes. They are used in college classroom settings or corporate training settings; used by mediators and facilitators seeking to introduce their clients to a process or issue; and used by individuals who want to enhance their negotiation skills and knowledge. I’m possibly interested in this exercise. How many participants? How long does it require to play? Great! The exercise needs 5-6 people and can take 1 – 1.5 hours to fully run and debrief. You can find out more by logging in and downloading a full Teacher’s Package of the simulation for your review here.